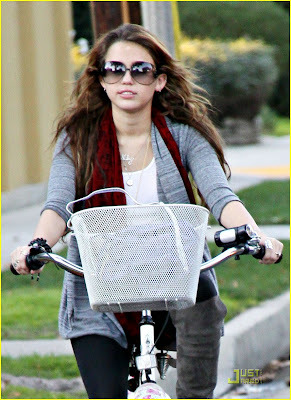 Here's a photo of Miley Cyrus out for a bike ride by herself on January 14th. A few days ago, she went biking with her family, including her boyfriend Justin. Why didn't he tag along this time?